Urbanspoon, a leading restaurant recommendation service, collects reviews from professional food critics, bloggers and diners across several countries. The company provides an appealing user-friendly app that identifies restaurants according to desired location, price, and/or cuisine. To further assist hungry readers, Urbanspoon encourages people to share their dining experiences via social media. In addition to solving the challenge of finding that perfect first date restaurant or economically friendly family eatery, Urbanspoon also provided an invaluable service for millions of displaced Hurricane Sandy victims with the help of CallFire’s affordable text messaging solution. In 2012, Hurricane Sandy hit the United States, turning out to be the largest Atlantic hurricane and second-most costly to ever impact the U.S. Sandy shut down or destroyed many businesses, leaving nearly $70 billion of damage in its wake. Urbanspoon used CallFire’s services to notify their users as to which restaurants were still open for business. Urbanspoon understood the value of immediate information, which is why it turned to CallFire to power its mass text blasts. 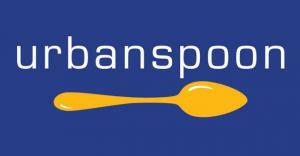 In just minutes, Urbanspoon uploaded its thousands of restaurant contacts, created a message, and deployed the campaign. “With one click you can reach tens of thousands of people and notify them about an emergency like Hurricane Sandy,” says CEO Ron Burr. The simplicity of CallFire’s texting application makes the task of sending out these messages, as Urbanspoon did, a simple and efficient solution.